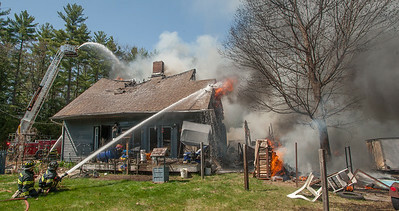 Winchendon FFs stand by waiting for water as fire consumes a house at 25 Robbins Rd. 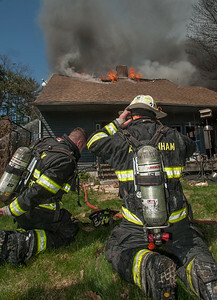 Ashburnham FFs prepare to enter a well involved dwelling at 25 Robbins Rd in Winchendon. 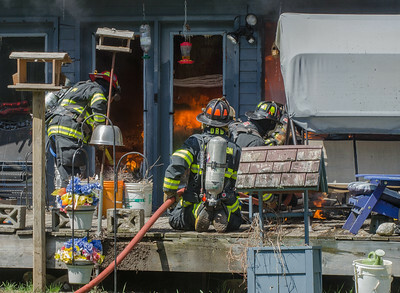 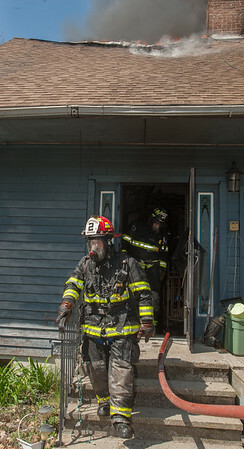 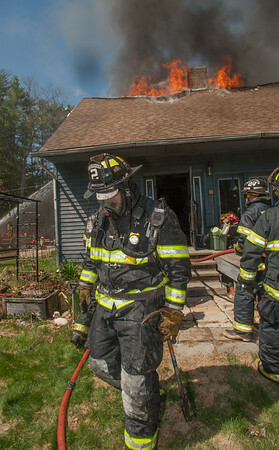 Ashburnham FFs enter a well involved dwelling at 25 Robbins Rd in Winchendon. 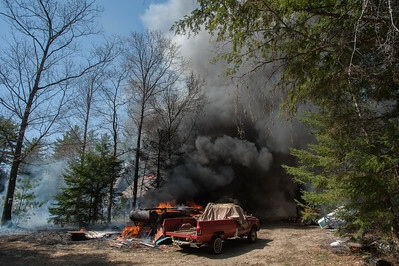 Ashburnham FFs attack a well involved dwelling at 25 Robbins Rd in Winchendon. 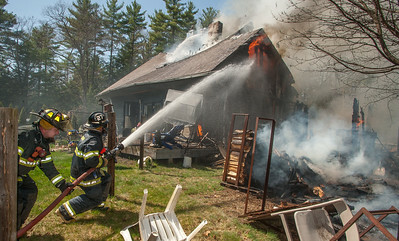 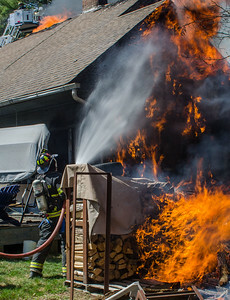 An Ashburnham FF knocks down some exterior fire on a well involved dwelling at 25 Robbins Rd in Winchendon. 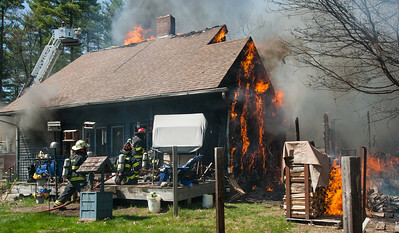 Ashburnham FFs work on a well involved dwelling that extended to a large brush fire at 25 Robbins Rd in Winchendon. 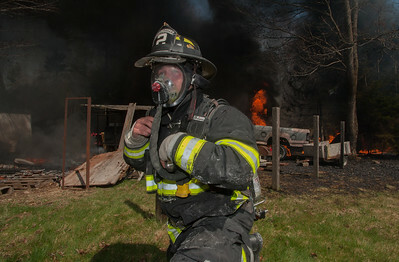 An Ashburnham FF dons his mask to get back to work at a well involved dwelling fire that extended to a large brush fire at 25 Robbins Rd in Winchendon. 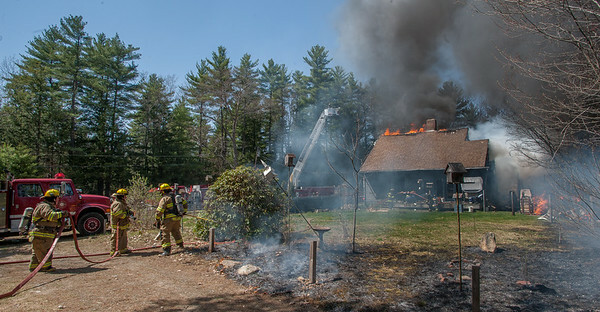 Ashburnham and Winchendon FFs work on a well involved dwelling that extended to a large brush fire at 25 Robbins Rd in Winchendon. 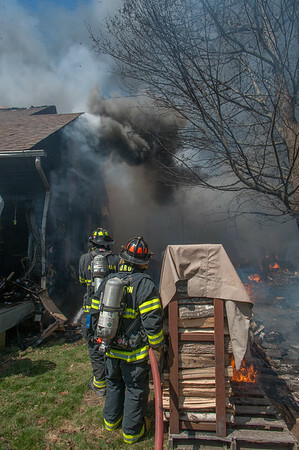 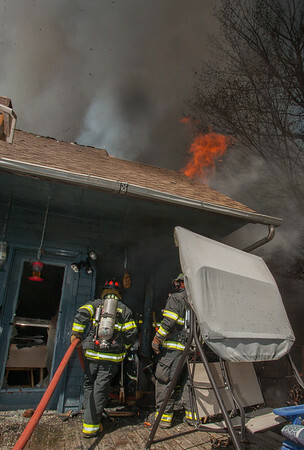 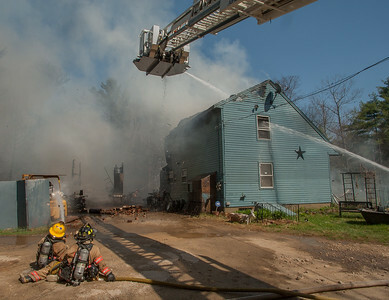 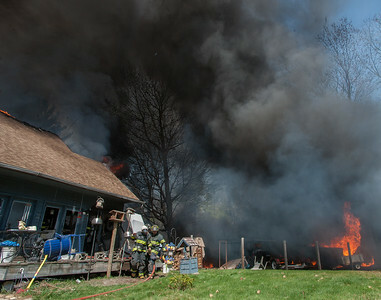 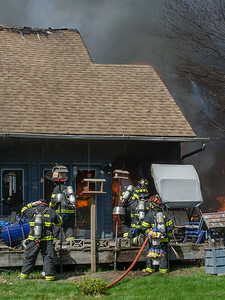 Fire begins to consume a house at 25 Robbins Rd after completely consuming the garage. 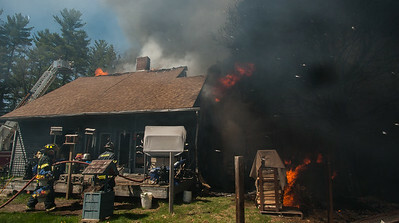 About ¾ of an acre also burned. 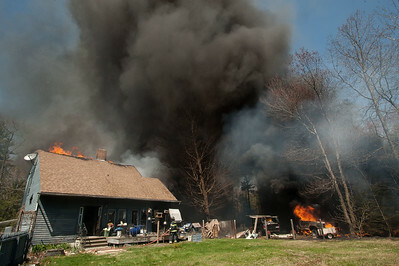 A fully involved dwelling fire extended to a large brush fire at 25 Robbins Rd in Winchendon. 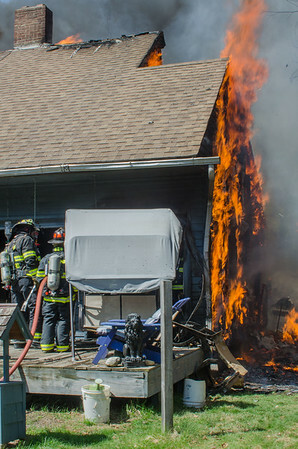 Troy, NH FFs keep their distance from a well involved dwelling while Ashburnham FFs readjust their interior line at 25 Robbins Rd in Winchendon. 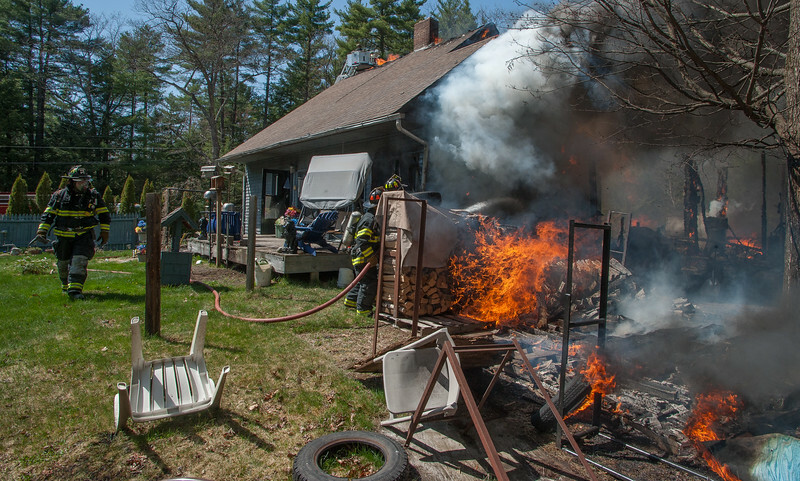 Rindge, NH and WInchendon FFs cool propane and acetylene tanks next to a collapsed garage that extended to a house at 25 Robbins Rd in WInchendon. 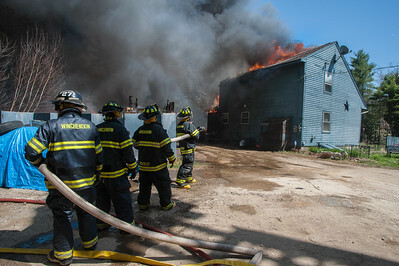 Ashburnham FFs are withdrawn from a well involved building as the roof begins to sag. 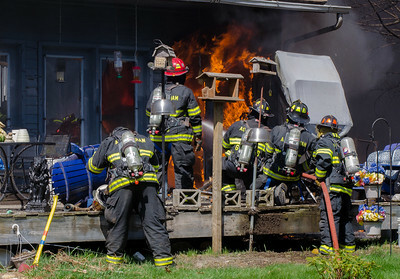 Ashburnham FFs take a break in the front yard after being withdrawn from a well involved building after the roof began to sag. 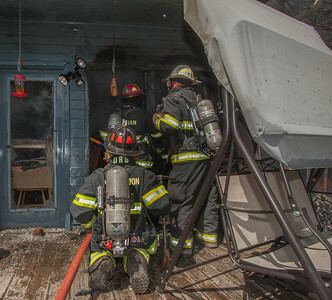 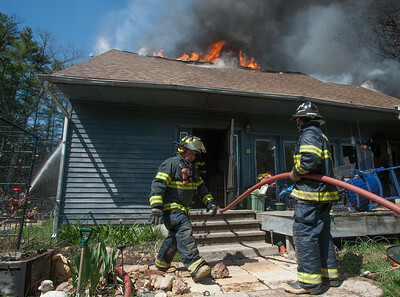 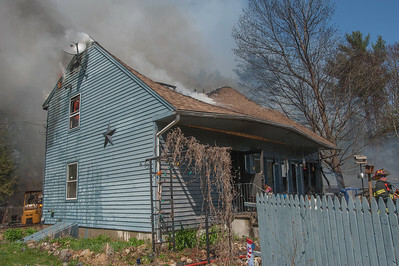 Winchendon crews hit the exterior of a well involved house after interior crews were withdrawn. 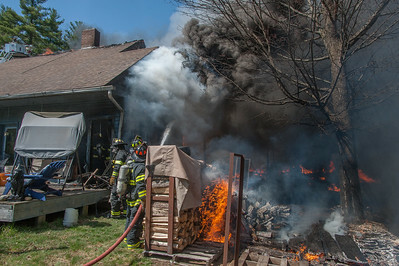 FFs from Winchendon hit the exterior of a fully involved house after interior crews were withdrawn. 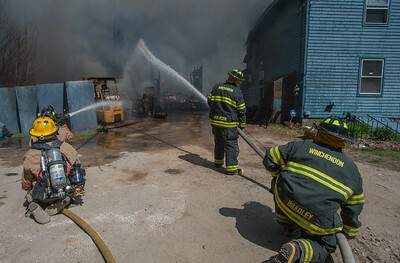 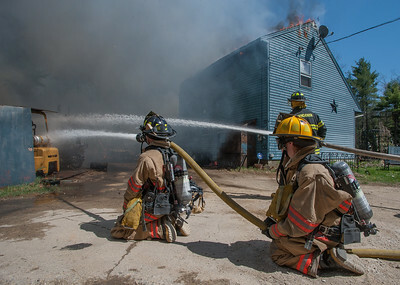 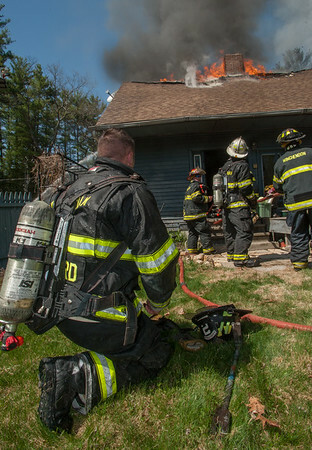 Ashburnham FFs take a break in the front yard after being withdrawn from a well involved building on Robbins Rd in Winchendon after the roof began to sag. 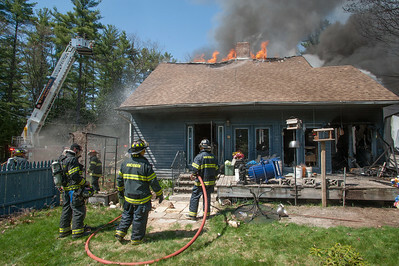 The roof sags and collapses at 25 Robbins Rd in Winchendon after interior crews were withdrawn.